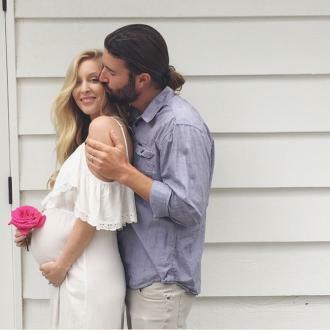 Brandon Jenner has split from Leah Felder after six years of marriage and 14 ''beautiful years together''. Brandon Jenner has split from Leah Felder. The 37-year-old star has ended his marriage with the 35-year-old television personality after six years of marriage and 14 ''beautiful years together''. They shared in a statement on Instagram: ''After celebrating fourteen beautiful years together, we have lovingly come to the decision to end the romantic aspect of our relationship. We are deeply proud of the life we've cultivated together and are truly grateful for the bond of friendship we hold and cherish today. It is stronger than ever. The couple welcomed their daughter Eva three years ago. Despite not being a fan of her pregnant figure, Leah previously said she felt ''honoured'' to be becoming a mother.